About "Add and subtract rational numbers worksheet"
Here we are going to see some practice questions on adding ans subtracting rational numbers. 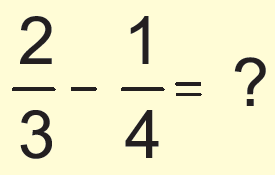 Whenever we want add or subtract any two or three rational numbers, first we have to consider the denominator. 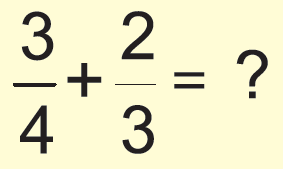 If the denominator are same, we can easily combine the numerators by writing one common denominator. If the denominators are not same, we have to convert the denominators same, by taking L.C.M. Once we change the fractions with the common denominator, we can combine them. Add : Simplify your answer and write it as a proper fraction or as a whole or mixed number. Since the denominators are same, we can put only one common denominator and combine the numerators. Hence the answer is 1. 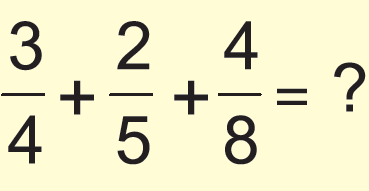 Subtract : Simplify your answer and write it as a proper fraction or as a whole or mixed number. Hence the answer is 8/13. Since the denominators are not same, we need to take L.C.M in order to convert the denominators same. The numerator is grater than the denominator, we have to convert it into mixed fraction. Hence the answer is 1 5/12. Hence the answer is 5/12. Now we need to consider the given question as two parts. 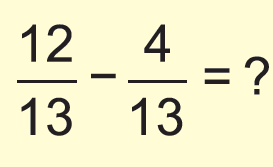 First we have to simplify the fractions inside the parenthesis. Subtract 2/9 from the simplified answer. Hence the answer is 5/9. Since the denominators are not same, we have to L.C.M in order to convert the denominators same. Since the numerator is greater than the denominator, we have to convert into mixed fraction. Hence the answer is 3 3/10. After having gone through the stuff given above, we hope that the students would have understood "Add and subtract rational numbers worksheet".